Former heavyweight king Mike Tyson was asked for his thoughts on rival heavyweight champs Deontay Wilder (the man who recently caused a stir by saying, when asked, how he would have beaten a peak Tyson) and Anthony Joshua. Speaking with Jim Gray of Showtime, “Iron Mike” surprised quite a few fight fans by stating how Wilder is the improving fighter overall, not Joshua. 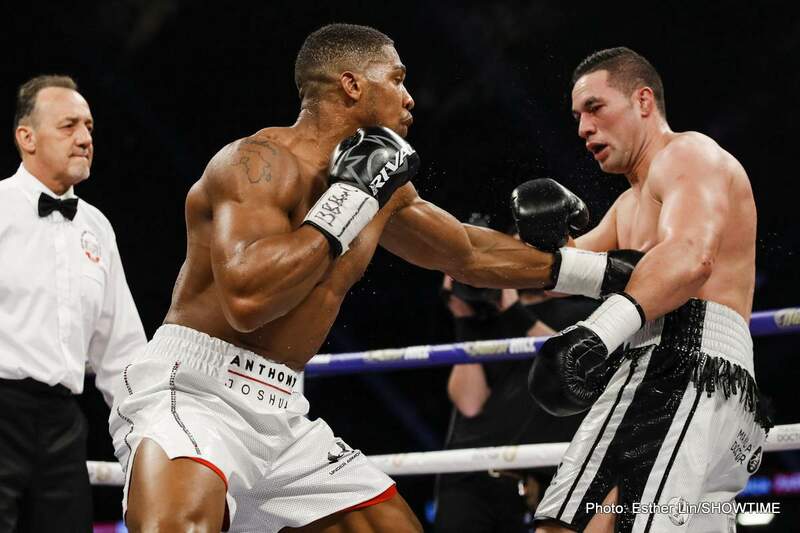 Joshua of course went 12 rounds for the first time in his last outing, when he widely decisioned Joseph Parker, while Wilder showed a chin and some serious heart in going through some rough patches to take out Luis Ortiz in round-ten of a far more exciting fight. Maybe it was this excitement factor that impressed the youngest ever heavyweight champ, as Tyson says he was not impressed by AJ and his win over Parker. Most people agree with Tyson, and the fight we all want to see has next to no chance of going all 12 rounds. But could Joshua-Wilder be that simple thing: a case of which fighter lands a bomb first, wins? We all want to find out, Tyson included. Interestingly, another heavyweight legend, George Foreman, recently gave his thoughts on a Wilder-Joshua fight on social media and he too feels there is a great chance of a KO, one way or the other. Still, Foreman said that if the fight goes late Wilder will be the fighter with a great shot at winning on points. It’s a 50/50 fight in the opinion of most, now we just need to see a heavyweight unification showdown between Wilder and Joshua get signed, sealed and delivered. Fans are already losing patience with this one. It would be great if it happened next for both men, or failing that, by the end of this year. Any later, and the lustre, the sheer excitement level may well fade some. Surely the two sides can work together and thrash out a deal?